Are you ready to upgrade your outdated, low resolution television so you can truly view your screen in high-definition? 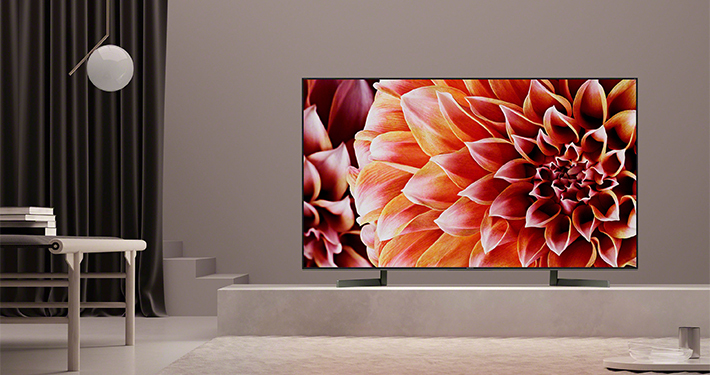 Are you ready for a bigger TV to impress friends and family when the big game is on? 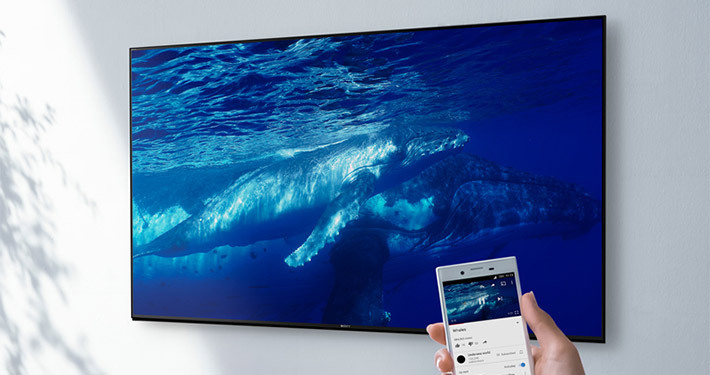 We offer the tri-states most impressive selection of 4K, HDR, LED, OLED, and Smart TVs ranging in size from 43 to 85” from the world’s leading manufacturers! We have a TV to suit every customer’s personalized needs! 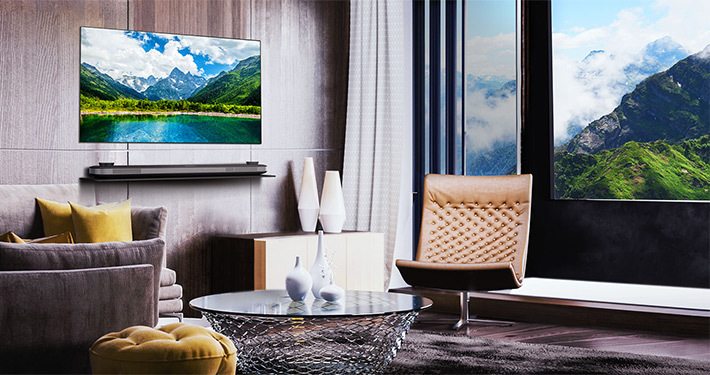 Our expert sales staff will consult with you to determine the best TV for your budget to ensure your home viewing experience is as spectacular as possible. Is the current view of your entertainment system a mess of jumbled wires? Are you ready to transition that unsightly view to a sleek home entertainment system? Our team of professionals have installed thousands of TVs in homes and businesses all across the tri-state and are incredibly skilled at concealing unattractive wires from your view. Whether they’re wires from a TV, surround sound system, gaming console, or everything in-between, we can seamlessly hide any wiring for virtually any display in your home or business. No more settling for unattractive wires that distract from your entertainment, let our team give you a premium viewing experience! With our wide selection of TV sizes and skilled install team, we can place a TV in every room of your home. 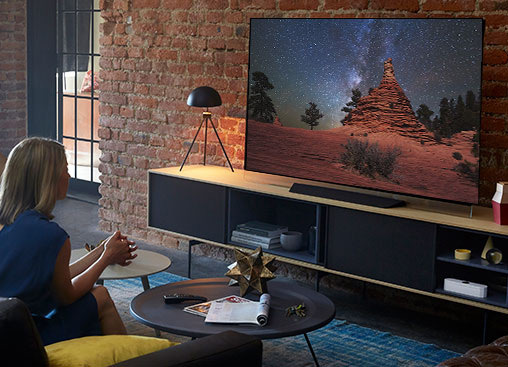 From the living room to the bathroom to the garage to the kitchen, let us connect you with a superior entertainment experience wherever you may want it. Maybe it’s a 24” TV in your kitchen to watch when you’re making dinner or a 55” TV in your garage to entertain you when you’re working at your bench. Any space, for any reason, Quest4 Electronics wants to give you exactly what you’re missing. How are we better than our competition? Our expert team specializes in custom installs to make every customer’s dream TV and display a reality. 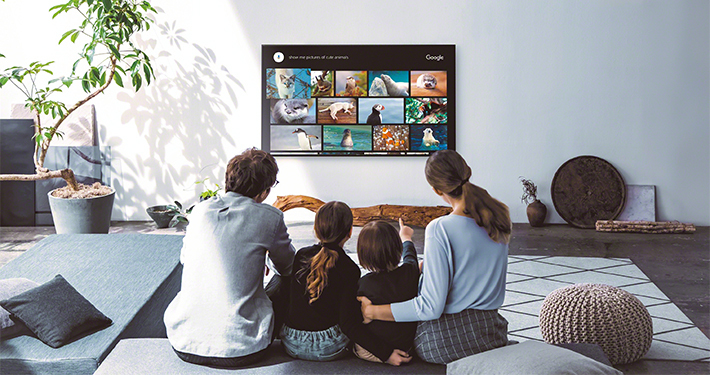 We will connect your new TV to your existing networking system and components, to ensure all of your technology runs together flawlessly. Our team prides ourselves on strong attention to detail and dedication to our clients, which shows through in our follow-up and after-sale service. We service what we sell and we’re committed to making sure your equipment always runs smoothly and efficiently, we also offer extended warranties for those who prefer some extra peace-of-mind. With decades of experience, we’ve been using our knowledge of and passion for the industry to modernize homes and businesses all over the tri-state area. We are passionate about utilizing technology to enhance your quality of life. Let us show you why thousands of customers recommend Quest4 Electronics and our team for all of their consumer electronic needs. Want A Bigger/Better Picture? Contact our Quest4 Experts for a FREE Consultation.